It’s time for hats, scarves, and in Munchkin’s case, booties. 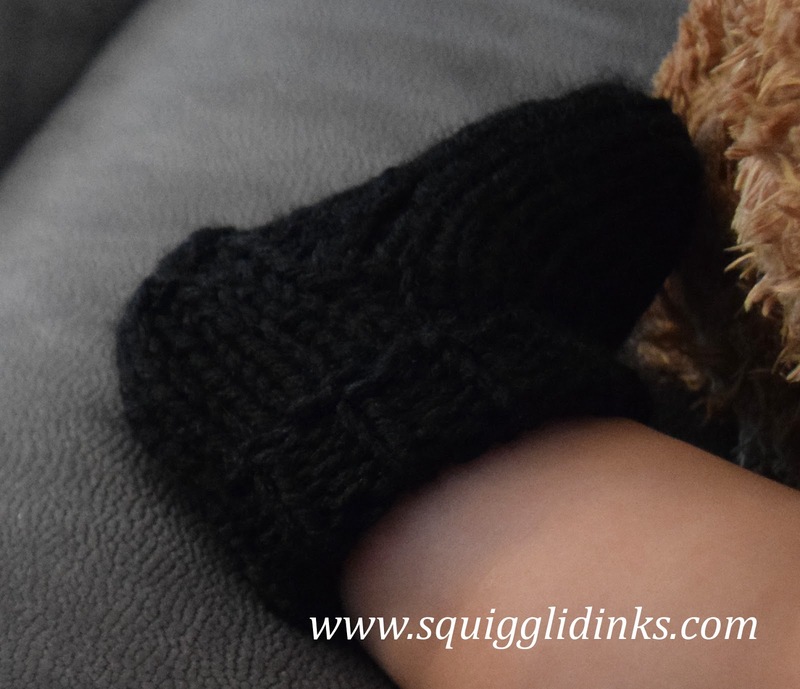 The booties I made for Little Bear for his first winter are too big for Munchkin, so I was looking around for a quick, easy, and simple sock or bootie pattern that would stay on the little one’s feet. 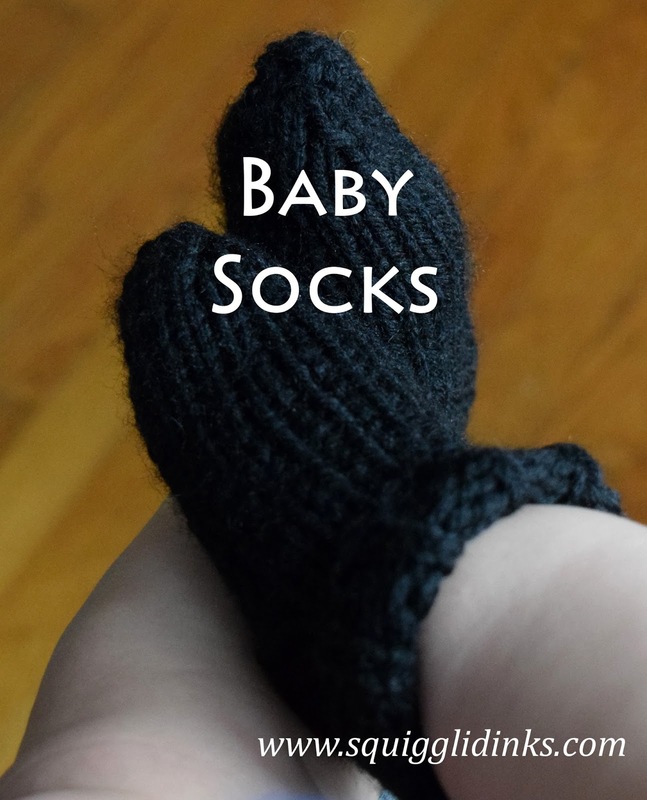 I finally settled on this one by Red Heart Yarn–they really are just tiny little socks, made with worsted weight yarn so that they’re thick and warm and knit up quickly. I was hoping to have posts available to explain any skills that might be new in a given pattern. I apologize for not having all of those posts up yet. Please bear with me–I’ll update this post as soon as I have new links for you! I know black is an unusual color for baby items, but I wanted them to be able to pass for shoes in a pinch. I had to fold down the cuff because of his chubby legs, but they’ll stay on just fine! What’s your favorite pattern for baby booties? Share it in the comments!